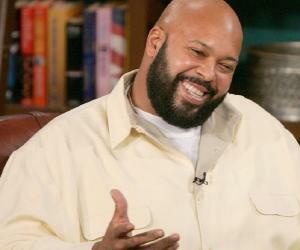 Suge Knight is an American rap magnate, music executive, and a former ‘National Football League’ player. This biography profiles his childhood, family, personal life, career, etc. Also Known As: Marion Hugh Suge Knight Jr.
Suge Knight is an American rap magnate, music executive, and a former ‘National Football League’ player, who has played for the team ‘Los Angeles Rams.’ He founded ‘Death Row Records,’ one of the first mega successful music labels in the rap industry. Their first big break was with Dr. Dre, when his album ‘The Chronic’ became an international hit in the 90s. ‘Death Row Records’ tasted further success by collaborating with artists such as Tupac Shakur, Snoop Dogg, and Outlawz. However, Knight’s regular tussle with the law created several roadblocks to the rise of ‘Death Row Records’ in the music industry. The reputation of the record label was affected in 1996, following the incarceration of its erstwhile CEO, Knight, and the company eventually went bankrupt in 2006. In February 2015, Knight was charged with murder and his career officially ended. In October 2014, Knight was arrested for theft, along with comedian Katt Williams. Subsequently, in 2017, he was accused of threatening a film director with death. Such cases brought an end to the future of a highly successful music magnate. Suge Knight was born Marion Hugh Knight Jr. on April 16, 1965, to parents Maxime and Marion Knight Sr., in Compton, California. He was nicknamed “Sugar Bear,” by his parents, and that led to him being named “Suge,” when he turned a teenager. He was a sports enthusiast ever since he was a kid and played football and track during his school years. He went to the ‘Lynwood High School’ and was a key member of the school football team there. He belonged to a very shady neighborhood and had befriended some petty criminals. He was part of the notorious neighborhood gang ‘Mob Piru Bloods’ and had participated in various pretty crimes with them. He wore their colors during the latter years of his life, which showed how much he loved being a part of the gang. Despite his association with a criminal gang, he remained a great athlete and an academically good student throughout his school days. He joined the ‘University of Nevada,’ on a football scholarship. There, his skills helped him make it to the dean’s list. He completed two years with the university team, aiming for a career in professional football. Soon, he was picked up by the ‘Los Angeles Rams.’ However, he did not get much of a chance to play with them. He mostly remained a replacement and played in just two games. He was not happy being part of the team. Soon, he quit it and started working as a bodyguard for celebrities. One of his first clients was musician Bobby Brown, who inspired Knight to make a career in the music industry. Rap music was booming at that time and that had Knight planning his own music label. In the early 90s, “gangsta rap” was just beginning to conquer the American rap industry, and Dr. Dre was one of the most promising youngsters in the genre. He joined hands with Knight and laid the foundation of ‘Death Row Records.’ In 1992, Dre launched his album ‘The Chronic.’ It was followed by the initial works of Snoop Dogg. Thus, in the early 90s, ‘Death Row Records’ became one of the cornerstones in the American West-Coast rap scene. Knight was never away from controversies. He was accused of assaulting a lot of young rappers and of carrying guns in public. This led to the company earning a bad reputation in the market, and their business was significantly affected. The arrival of Tupac Shakur was like a tonic for ‘Death Row Records,’ as he introduced his own style of rapping. However, a few esteemed rappers, such as MC Hammer, continued to quit the label because of the growing notoriety of Knight in the industry. Dr. Dre also quit soon and started his very own record label, ‘Aftermath Records.’ Following this incident, a number of records from ‘Death Row Records’ insulted Dre openly. In September 1996, Tupac Shakur was shot dead in Las Vegas. Many former ‘Death Row Records’ artists, such as Snoop Dogg, accused Knight of being involved in the murder. However, reports claimed that the murder was committed by rival rapper The Notorious B.I.G aka “Biggie.” When “Biggie” died in a similar fashion, a few days later, it became clear that Knight had committed the act to avenge the murder of Tupac. 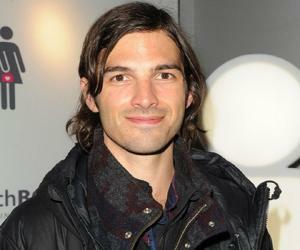 Aware of the fact that his music label would not last long, Knight invested in other ventures. He established a car-hydraulics business of his own and a night club, ‘662.’ He also donated generous amounts of money to charities. The future of ‘Death Row Records’ was uncertain, following intensive interrogations by the police. These inquiries were regarding the growing number of accusations of drug-related activities, filed against the company. Knight himself was placed on probation multiple times, for inciting violence and for carrying assault weapons. 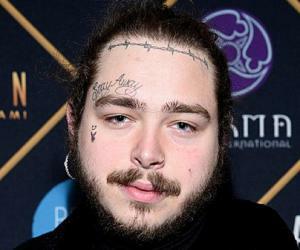 He was further associated with the assault of a number of young rappers and soon became notorious for using threats to secure deals with young musicians. Finally, in 1996, Knight was sent to jail for violating the terms of probation and was sentenced to nine years. He was released in 2001. Meanwhile, ‘Death Row Records’ almost died a silent death. After his release from prison, Suge tried re-launching his label but did not find enough support from the industry. He renamed it as ‘Tha Row.’ However, Knight was again sent to jail in 2003, for a short time. In 2006, a producer, Lydia Harris, accused Knight of fraud and claimed that she was one of the founders of ‘Death Row Records’ and that she was cheated of her dues. After she was proved right, Knight was ordered to pay her in millions, which further led him to file for bankruptcy in 2006. In 2008, the label was eventually sold for a meagre amount. Knight continued his tussle with the law, facing several more charges that ranged from possession of marijuana to theft. 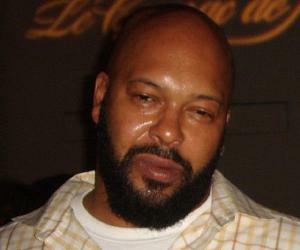 In January 2015, Suge Knight was involved in a hit-and-run case, which killed a man and injured another. The event took place in Crompton, California. At first, it seemed like an accident but witnesses claimed that Knight had been arguing with the victims on the sets of ‘Straight Outta Compton,’ which led to a brawl. Later, when the victim stood waiting at a burger stand, Knight rammed his car into him, leading to his death. Knight has been in prison ever since. In 2015, soon after his arrest, Knight complained of chest pain and blindness and was immediately hospitalized. It turned out that he had a blood clot in his lungs. Suge Knight married Sharitha Golden, his first wife, sometime in the 90s. In 1999, he married R&B singer Michel’le Denise. In 2002, their daughter, Bailei, was born. Their marriage lasted for six years. Eventually, Michel’le accused Knight of fraud and claimed that he had hidden his first marriage from her and that he had physically abused her.